World's Greatest Temples Mahjong is rated 3.4 out of 5 by 9. Rated 5 out of 5 by Lyndy20 from I love this series This is the 3rd game in a very enjoyable series. The layout is similar to the second game, where the variations are colour coded on the main board. That's really good for replaying your favourite variations. There are 7 variations, 5 of which are new: Classic Mahjong Bottom Tile (new# - find pairs based on framed tiles Domino #new# - match colour. Tiles must also equal 7 Poker #new# - this is a fun variant, matching pairs and trying to complete the poker table, e.g. royal flush, flush, straight, etc. Logic - match tiles based on logical connections. A familiar variant that appeared in different forms in the other games. Memory #new# - similar to Bottom Tile, but the tiles are flipped over. 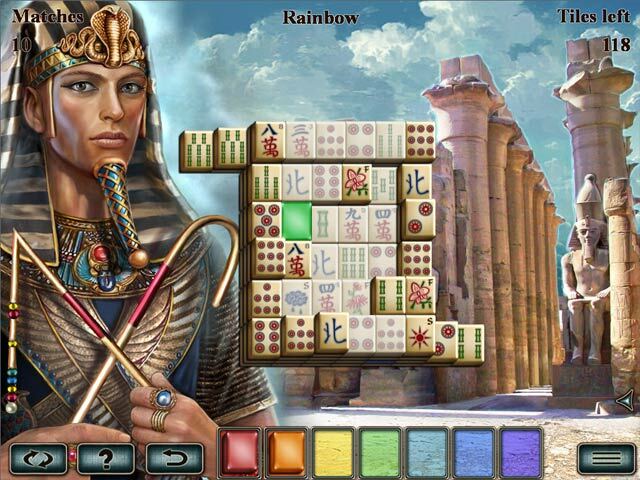 Rainbow #new# - plays like classic Mahjong, but special coloured tiles have to be found in a certain order. This game is untimed #at least in the demo), but you get stars depending on your score. Rated 4 out of 5 by TeachumWell from Good Game, But.... Having played the previous 2 in theseries, I hoped for soe improvements. They were there, but also soe disappoijtments as well. You don't have to have played the previousgmes as this is a temple tour that stands on its own. So what's disappointing? Well, the tile set is the all too familliar Chinese one which although done very well should've been one of several alternative sets.. The music while not loud or brassy is quickly tiring but can be muted. Colors are much better thn the"Cities" game before it. Temple info is interesting but totally unrelated to the game. There's no timer #I played the trial only so maybe one comes in later# which is a big plus. Overall, a worthy game for mahjong fans both novice and veteran players. Rated 4 out of 5 by ecblisa from Nice, especially if you played the earlier ones This is a nice game with a lot of variety. This can be off-putting for some who just like plain old Mah Jong, but I enjoy it. There are several different games, all based on matching tiles, and I think the one that requires you to assemble poker hands is completely new. The game can be difficult for someone who has not played any in this series before. I know I found the "logic tiles" challenging at first. This version of the game requires the matching of logically related tiles, like tree and leaf, or bee and honey. Once I got used to the rules, this became one of my favorite game types. I like the poker one also. This is an excellent and fun game for someone who likes Mah Jong type play but gets bored with the same old, same old. Rated 3 out of 5 by Wheezer52 from falling asleep no challenge started nodding off. Rated 3 out of 5 by James_Kit from Nice Mahjong game This is a third game in the series of "World's Greatest ... Mahjong". This time you visit temples and start in Luxor temple. 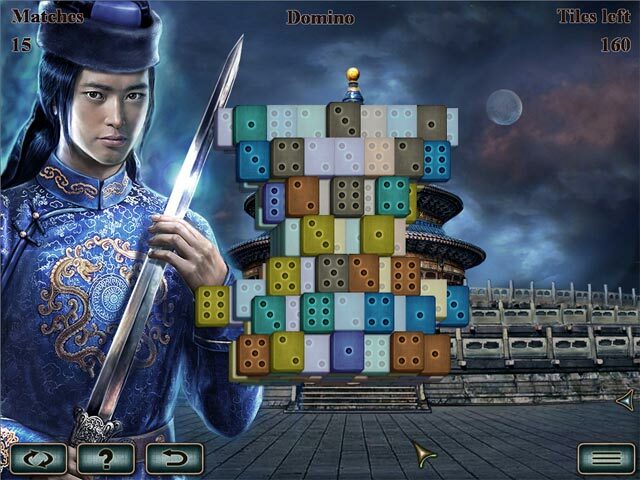 The game has 7 or 8 mahjong variations. I was getting used to the first type when they switched me to another one. I bit too fast for me, but maybe mahjong veterans will enjoy that. The graphics is nicely done. Music is OK. I prefer when matched tiles fly away instead of just disappearing. Rated 2 out of 5 by Lionessa from Disappointing I really enjoyed the previous games in this series and bought it without trying it out first. Big mistake. There is no timer. There is nothing to beat as far as I can tell. You get three stars for just completing the puzzle. I never got less than three stars on the first try (that's the most you can get). The new versions (poker, etc.) were entertaining the first couple of times but this game doesn't mix it up enough and doesn't offer any real challenge. I found it boring and was sorry to have purchased it. However, if you want a relaxing game with no challenge to just pass the time, this game might appeal to you. I found the music, colors, tiles, etc. just fine. I don't care about not being able to choose different tile sets so that did not bother me. It depends on what you want out of a game - relaxed, easy to finish or a bit of a challenge. If you want the former, try this and if you want more from a game in terms of challenge - give this one a pass. Rated 2 out of 5 by lotusdk from I dont understand what become of Mahjong - I mean real plane Mahjong? Learn about the great temples of the world as you play through impressive Mahjong levels in World’s Greatest Temples Mahjong!